I.P. 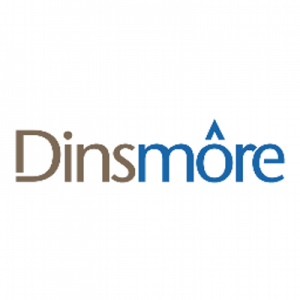 Associate or Patent Agent – Large Law Firm – Washington, D.C.
DINSMORE & SHOHL LLP, a prominent national law firm with an IP Department of over 90 attorneys among its 650 attorneys nationwide, is seeking an Intellectual Property Associate or Patent Agent in any of its IP offices. This position requires a minimum of two years of patent prosecution experience and at least a BS in chemistry, biochemistry, or related degree. Admission to a state bar, and USPTO registration is required for the Associate opening. The Patent Agent position requires USPTO registration. Graduate degree and/or industry experience preferred. Experience with pharmaceutical patent prosecution is a plus. Successful candidates will have strong academic credentials, excellent research, writing, analytical, and communication skills; and will enjoy a collegial atmosphere with an emphasis on training, significant client contact, and a wide range of work, including patent preparation and prosecution, portfolio management, strategic analysis, opinion drafting, and post-grant proceedings.